Ryan Zinke's shrinking commitment to public lands - Combat! Sec. 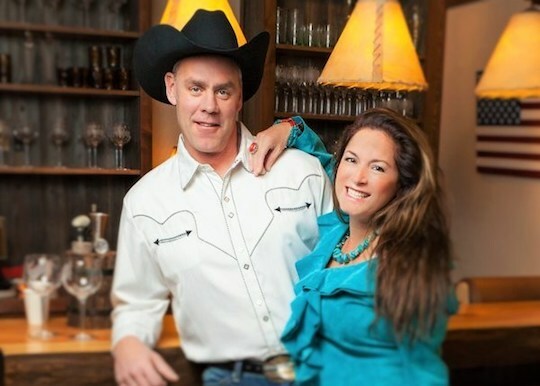 of the Interior and former MT Rep. Ryan Zinke simply cannot take a bad picture. A big part of living in Montana is being the most Montana person you can be. This principle is especially important in politics, where conventional wisdom holds that voters will select the most authentic Montanan on the ballot—as measured in hunting, fishing, shooting, fencing mending, suspiciously mint condition Carhartt-wearing, et cetera. At one point during the special election this spring, both candidates for US House were running ads where they shot TVs. One was a musician and the other a tech entrepreneur, but no matter—once the election came around, they were rooting, tooting ranch hands. But nobody does Montana Values better than the man they were vying to replace, Ryan Zinke. The secretary of the interior and erstwhile representative from Montana is a former Navy SEAL. He played college football. He grew up in Whitefish, the Santa Barbara of Montana, and was rumored to live in the Santa Barbara of California, but he made up for it by wearing a giant cowboy hat. In the statewide costume pageant that is Montana politics—at least as various local consultants perceive it—Zinke is a past master. Since he joined the executive branch, however, his game has fallen off. Besides appearing next to a fencing with perfectly clean and unlined rawhide gloves, the one issue Montanans agree on more than any other is public lands. Polls put voters’ support for stream access, federal stewardship, and other land-use issues as high as 90 percent. Commander Zinke was a staunch defender of public lands when he was beholden to those voters, going so far as to resign his position as a delegate to the Republican National Convention over the plank in his party’s platform that called for transfer of federal lands to the states. Now, though, Zinke is in an appointed position, and nothing short of a new president can push him out. Coincidentally, his position on public lands has evolved. Last week, he submitted a plan to President Trump to reduce the size of several national monuments, including Bears Ears in Utah. The details of this plan are secret; Zinke neither made his plan public nor answered questions about it put to him by the Associated Press. He prefers to do the public’s business the Montana way: in private. You can read all about it in this week’s column for the Montana Independent, in which I praise Secretary Commander Zinke for upholding his Montana values. We’ll be back tomorrow with Friday links! How right is the market, anyway?